I love eating in California, but there are things you can't get here, and one is good mince pie. This British treat is found all over the East Coast of the US during the holiday season, but Californians have no tradition of eating it. When they do make it -- or write about it -- they don't understand it. A good mince pie is unlike other pies in that it's mostly dried fruit; fresh apples give it crispness and body, but shouldn't dominate the filling. A good mince pie is spicy, slightly boozy, raisiny and chewy. A century ago, mince pies were made of meat. But there's no reason to subject modern diners expecting dessert to a meat pie just to satisfy some food writer's historical urges. Mince pie has evolved, and we can only hope articles about it eventually evolve with it. Marie Callender's made the best commercial mince pie here, but went through bankruptcy and its local stores closed. In 2011 I bought a $6 pie from Safeway and a $35 pie from Three Babes Bakeshop. The Safeway pie had a cheap industrial crust and a cornstarchy interior, yet was much closer to the concept. The $35 pie failed in the same way as most expensive mince pies I've had here: It was an apple pie with some dried fruit, tasty enough, but not the same thing. I complained long enough that my wife found a recipe from a Japanese chef living in London, where they know what they're doing. She Californized it in one aspect: instead of suet, she uses butter. She uses dark rum instead of brandy; we've tried both, and the rum adds an appealing caramel note. And while Brits use the entire peel from lemons and oranges, she likes using just the zest. A key step is to age the filling in the refrigerator. The minimum is 24 hours, but you can age it as long as 2-3 weeks. Be sure to sterilize the container first to prevent spoilage. Use whatever pie crust you like. My wife usually buys one from the store; be advised that you get what you pay for. If you like making your own, do so. Mince pie is outstanding with ice cream. We had the most recent pie with burnt caramel sea salt ice cream and the combo was great, but you can't go wrong with a good vanilla bean ice cream. As you know I read your blogs regularly, and when they address an area that I have expertise in I'm not shy about commenting. But here I have to offer a heartfelt thnaks for the recipe. 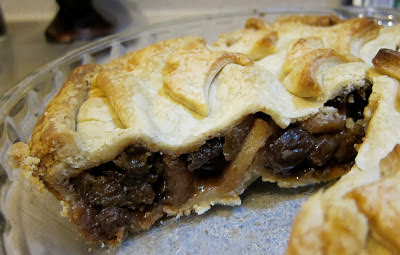 I love mincemeat pie and I'm going to make this for Christmas. Have a wonderful holiday season, Blake. 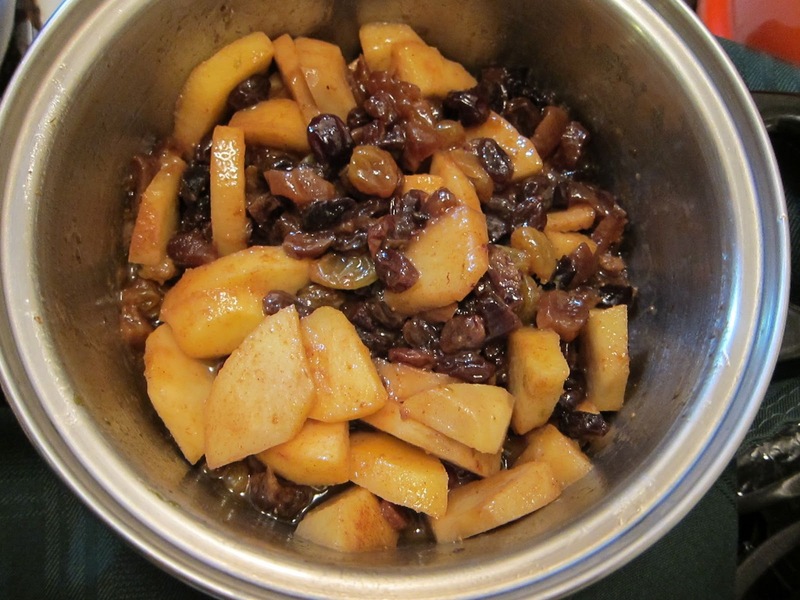 Thanks for the gift of this recipe and thanks for the prose over the entire year. Thank you, Larry. I always appreciate your comments, even when we disagree. And I like your wines. Hope the pie works out; let me know. Thanks, Blake. First Southern BBQ, now mincemeat pie ... you are a virtuoso. And I agree with your description of a correct pie thoroughly -- your wife did a fine job of tweaking the recipe; one should avoid suet/lard at all costs, IMHO. The pie was a success, but in the interests of full disclosure my stepdaughter Zoie made the crust. I had it on Christmas Eve. Everybody else ate apple pie - no class whatsoever! These days most of us normally eat them as small individual pies. Which is better depends on your preferred pastry/filling ratio. A good dark beer can be great for the booze.